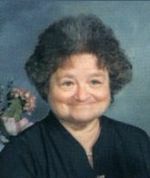 Sandra K. Stine, 69, of Flora, IL died at 12:20 AM Thursday, March 11, 2010 at Evergreen Nursing & Rehabilitation in Effingham, IL. She was born January 8, 1941 in Alton, IL to Edward & Imogene (Haynes) Kroeger. She married Robert L. Stine on June 6, 1965 in Flora, IL. She was a homemaker, a lifelong member of the VFW Ladies Auxiliary, and a faithful member of Faith Lutheran Church of Flora where she was a choir member and involved in L.W.M.L. Sandy was a loving, caring person who was always ready to help at church or when needed by a friend or neighbor. She will be sadly missed by many. She is survived by her husband: Robert Stine of Flora; son: Galen Stine of Flora; mother: Imogene Kroeger of Ivanhoe, TX; sister-in-law: Sherron Kroeger of Ivanhoe, TX; 4 grandchildren and a host of relatives and friends. She was preceded in death by her father and brother (Thomas Kroeger). Funeral services will be held at 10 AM Monday at Faith Lutheran Church in Flora with Pastor Tim Hahn officiating. Burial will be in Clay City Cemetery, Clay City, IL. Visitation will be Sunday from 6-8 PM at Frank & Bright Funeral Home and after 9 AM on Monday at the church. Thomas (Tom) Lane Kroeger, age 61, of Ivanhoe, TX. passed away at his home on Monday, March 13, 2006. Memorial services will be held at 10:00am Thursday, March 16, 2006 at Cooper-Sorrells Funeral Home Chapel in Bonham, TX. Rev. John Walther will officiate. Mr. Kroeger was born in Alton, Il. on June 22, 1944 to Edward Kroeger & wife Imogene Haynes Kroeger of Ivanhoe, TX. He is survived by his wife Sherron of Ivanhoe, TX; 2 sons Dell Ray Kroeger of Irving, TX. & his wife Lori, Donde Kray Kroeger of Prescott Valley, Az; daughter Penny Lee Kroeger Bauer & husband Todd of Camp Point, Il; step son Donald Ray Henson & wife Marcy of Allen, TX; mother Imogene Kroeger of Ivanhoe, TX; 8 grandchildren Misty, Justin & William Kroeger, Candace, Amanda & Cassandra Bauer, Kate Lyn Kroeger & Ashley Henson; sister Mrs. Robert (Sandra Kay) Stine & husband of Flora, Il; mother-in-law Pauline Rogers of Malacoff, TX. He was preceded in death by his father Edward Kroeger & father-in-law Eldon Rogers.